Truthfully, I've done most of my best work by being shameless. It's when I get shameful that I have to worry! Anyway, it's probably the last flea circus gig before the baby is born (unless something happens in the next week!) so come check it out if you can! Hope to see you there! Click the image for a larger poster. 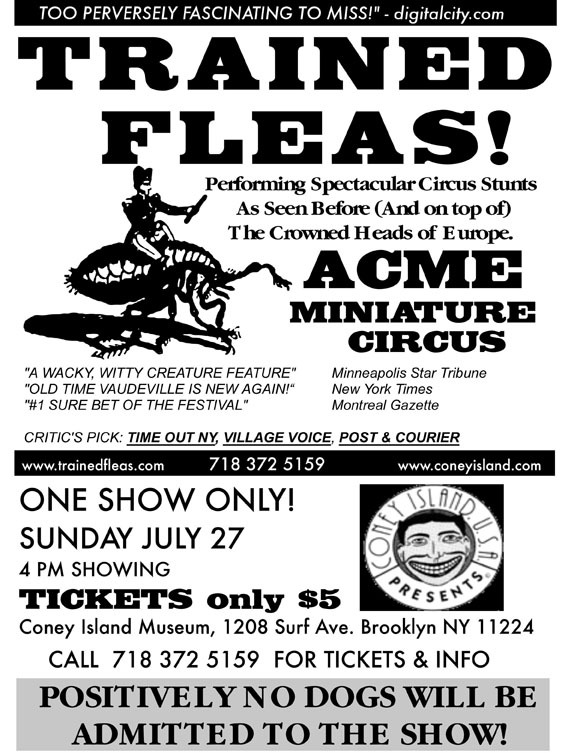 The Flea Circus Returns To Coney Island! WHEN: Sunday July 27, 2008 at 4pm. Comments on "Shameless plug for the Flea Circus 7/27"